It's an Avengers–Guardians of the Galaxy faceoff. By Yiqing Shao·	 1/20/2015, 2:20 p.m.
Let it be known throughout the galaxies: Captain America and Star-Lord are not BFFs—at least not until after the Super Bowl. The upcoming battle between the Pats and the Seattle Seahawks has brought about a fun little Twitter exchange between actors Chris Evans and Chris Pratt, who play the two superhero team leaders in the popular Marvel films. 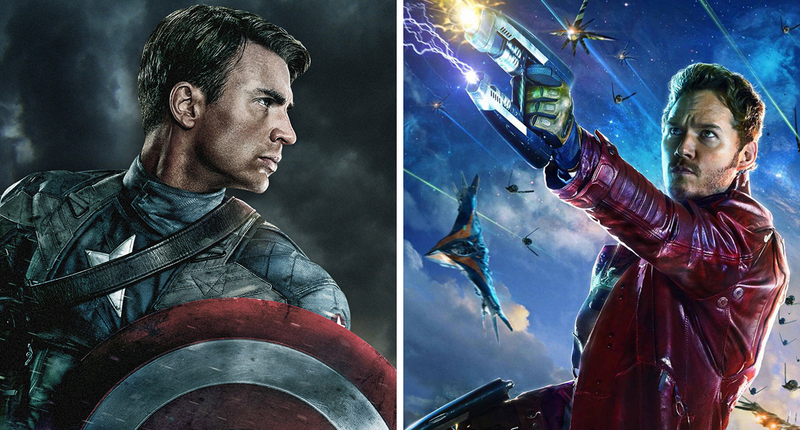 Evans plays Captain America from the Avengers, and Pratt plays Star-Lord from Guardians of the Galaxy. If the Seahawks win, Evans must go to Seattle Children’s Hospital dressed as Captain America while waving around the 12th man flag. If the Patriots win, Pratt must dress up as Star-Lord while wearing a Tom Brady jersey and visit Christopher’s Haven, a Boston nonprofit that provides housing for pediatric cancer patients and their families. For Marvel fans, the friendly rivalry is as close as we’ll get in the near future to a Avengers–Guardians of the Galaxy crossover. There are no losers in a bet like this one, but of course we hope Captain America gets his way come February 1. Regardless of how the Super Bowl plays out, Pratt will be in town February 6 to celebrate his designation as Hasty Pudding’s Man of the Year. The Parks and Rec star will headline a parade through Cambridge before his celebratory roast at Farkas Hall at Harvard. Somewhere on Asgard, Thor/the sexiest Chris Hemsworth is still very confused by all of this. Update, January 21, 2 p.m.: Updated with terms of Super Bowl bet.